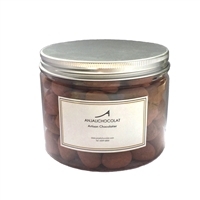 Whole toasted almonds in 70% dark chocolate, dusted in cocoa powder. Whole toasted almonds in white chocolate, dusted in icing sugar. 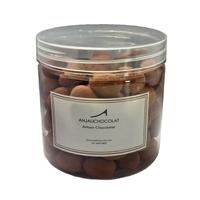 Whole toasted almonds in 70% dark chocolate, dusted in cocoa powder. Whole toasted almonds in white chocolate, dusted in icing sugar.